Zee TV show Manmohini has been keeping viewers intrigued and interested with the twists and turns of the plot. Recently, the show witnessed a leap of one year. Siya is in a state of coma and gasping for breath, while Raj Jyotishji protects her body from evil forces. Mohini, on the other hand, is killing young girls and sucking their blood to become powerful by the day. Dayimaa has now sided with Mohini. Siya’s husband Ram seems to be smitten by Mohini and is shown getting intimate with her. However, in an upcoming plot twist, we shall see that Siya shall put every trick in the book to use, to win her husband back from Mohini. We have learned that a couple from London shall visit Behraangarh to have a royal wedding in their hometown. Mohni will try to convince Ram that Siya is a part of the Ghagrapaltan. Vivian and Mallika support Mohini. Ram, however, is in self-destructive mode. He is doing so to save Siya from Mohni. He turns away from being a one-woman man, which makes Mohini insecure. She tries to keep women away from Ram, for he flirts with them. In the spoiler of the upcoming episode, we saw that Ram sings a song in the jungle which gets Siya to wake up from coma. The next episodes shall see Siya returning to the haveli only to find that things have changed completely. She is kicked out and is about to get killed when the protectors of Behraamgarh save her. Siya then prepares to enter the haveli with the help of Vanraj ( who is a new character in the story, he is the son of Rajguru, who is half tiger and half human). Vanraj also has a motive of fighting Mohini because she has killed his sister to remain young. Siya enters the haveli in a burnt look – with black colour all over face just like Goddess Kali. Neither Mohini nor Ram recognize Siya. Because of her ugly looks, Mohini asks Siya to take charge of Ram’s security and be around him. Siya is shocked to see her husband’s philandering ways. Will Siya be able to rescue Ram safely from the clutches of Mohini? Will Mohini find out Siya’s truth and try to kill her again? Stay tuned to know what happens next in the upcoming episodes of Manmohini. 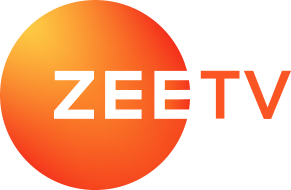 Keep watching ZEE5 for latest movies and blockbuster hits anytime, anywhere!